We stock a full line of beekeeping supplies in our walk in retail store. When you visit us in person, you'll have an opportunity to browse the latest products and talk with experienced beekeepers. Order your spring 2019 3lb bee packages now! We've provided some additional resources to help you! Read articles written by a NC Master Beekeeper and view links to sites that will help you become a seasoned beekeeper. With all the buzz about local, sustainable, the plight of the honey bee, pollinator decline, etc. it's hard to know what's true and what's hype. At Bailey Bee Supply integrity is important to us. We strive to be honest and respectful to our customers and community. So here's our commitment: If it's labeled local honey, it comes from hives within 100 miles. If it's labeled NC, it comes from hives in North Carolina, labeled GA, Georgia hives and so on. We sell honey from our beekeeping customers packaged and labeled by them. Honey which our bees do not produce will say bottled by Bailey Bee Supply. 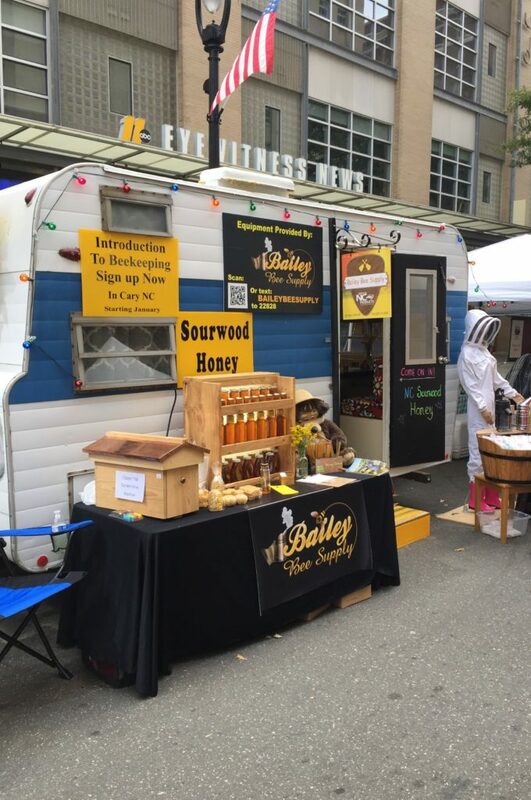 Bailey Bee Supply participates in the Got To Be NC program and are members of the Orange County Beekeepers Association, NC State Beekeepers Association, Eastern Apicultural Society and American Beekeeping Federation. At Bailey Bee Supply we offer a full line of beekeeping supplies and gifts. From live bees to products from the hive and everything in between.